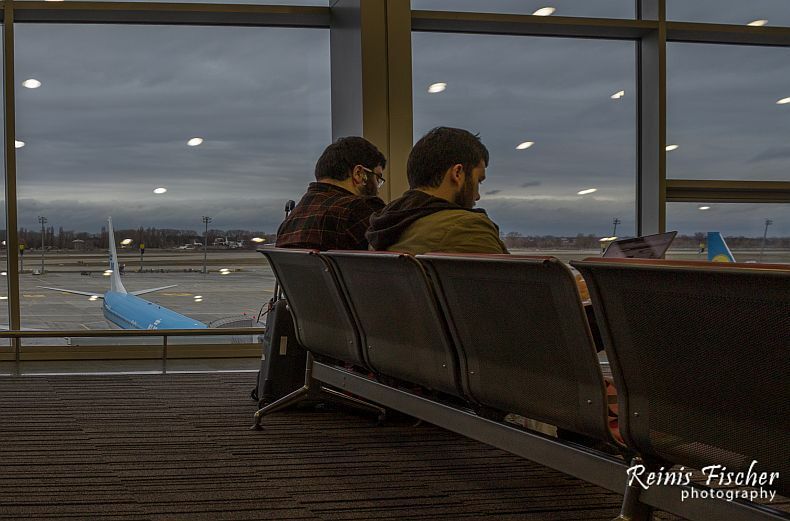 Boryspil International Airport is an international airport in Boryspil, 29 km east of Kiev, the capital of Ukraine. It is the country's largest airport, serving 65% of its passenger air traffic, including all its intercontinental flights and a majority of international flights. It is one of two passenger airports that serve Kiev along with the smaller Zhulyany Airport. Kiev's Borispol airport marks my first entrance to the Ukrainian land (at the end of December 2016) during connecting flight Tbilisi - Kiev - New York by Ukrainian airlines. Unfortunately our connecting flight to New York was delayed for 10 hours and I had plenty of time to explore this airport. 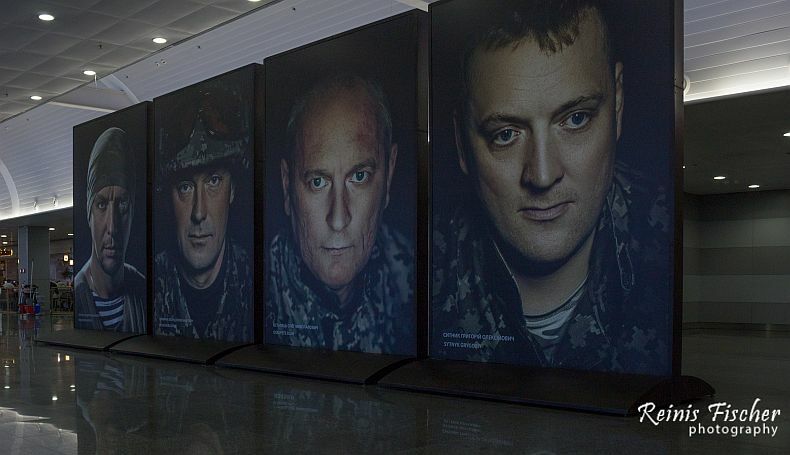 As a reminder for travelers like me - that Ukraine is having really hard times right now - Photo exhibit dedicated to the Ukrainian soldiers. Speaking of airport itself - cozy and very good. There are smoking rooms available plenty of cafeterias and of course Tax Free shopping. For my surprise, goods at Borispol airport weren't expensive at all. The best there is a Free Wi-Fi with high speed internet available throughout the airport terminal. Boryspil International Airport handles most of Ukraine's international traffic. Terminal B, with only eleven gates, two of which were air bridges, was not enough to handle all international flights. This was the reason for the expansion of that terminal, which started in 2005. The first-stage expansion of Terminal B was opened on 27 January 2006. In 2008, passport control within Terminal B Departures was moved further east (along with the entrance to the main duty-free shop so that it remains airside). There are plans to expand the airport further by building several new terminals. The government has been having meetings with the owners of nearby land, trying to buy more land for expansion. The construction of Terminal D was approved on 28 July 2008 and was completed in 2012 at a cost of UAH 1.661 billion (USD 208 million). The terminal will have a capacity of 1,500 passengers per hour and cover an area of 44.9 hectares. By 2020, if all plans proceed, the airport should have a capacity of 18 million passengers per year. A railway connection to Kyiv is still projected, however, realization seems to be very uncertain due to lack of funds.